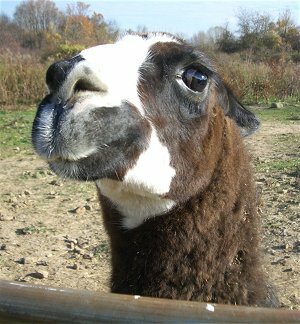 Llamas will spit if feel threatened and its not just a little spit, it will soke you!! 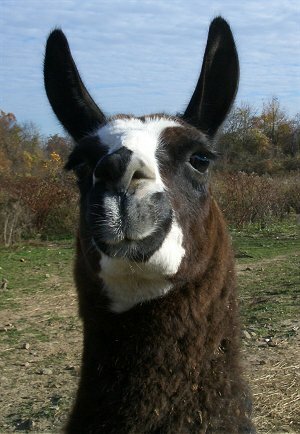 So if you see a llama with its ears back I would leave it along. 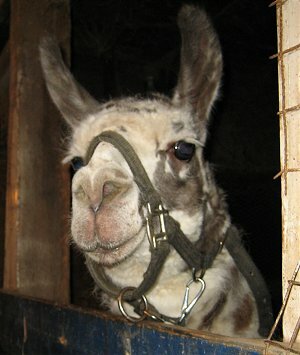 This is a llama named Cheese Wis. See he dosnt have its ears back. But now he does. He might spit! 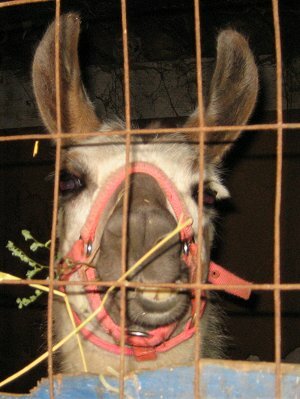 Here we have a happy llama eating hay. 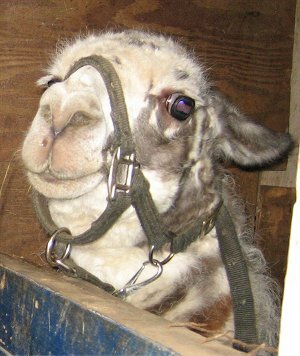 "And I'm going to get you!!"